I spent last night just stitching. After cutting out the jacket, I had this need to spend time working on this project. It's funny how working on one project for one event causes me to want to work on another project for another event. I fired up the DVD and put in "The Incredibles". That is a really good movie. I actually stopped stitching and just watched because I hadn't seen it in a couple years. I followed that with "Shrek". What was doubly nice was that Pilchard climbed into the settee and fell asleep next to me. While I put my feet on the ottoman, I made room for Mija to be on it as well. Eventually, she left and went into the bedroom to sleep. 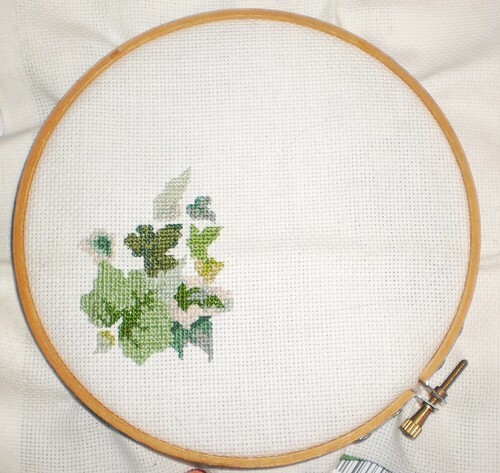 After an evening's worth of stitching, this is coming along very nicely.